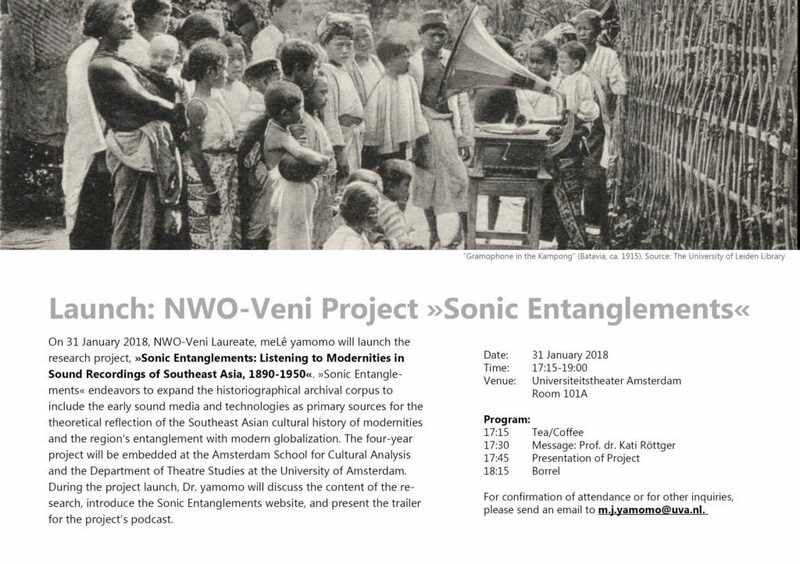 On 31 January 2018, I will be launching my new research project »Sonic Entanglements: Listening to Modernities in Sound Recordings of Southeast Asia, 1890-1950«. During the launch, Kati Röttger will introduce the project. I will talk about the content of the research, introduce the website, and present the trailer for the project’s podcast. I am also extremely delighted that my friend, the poet extraordinaire, Lonneke van Heugten will be hosting the event. Please come by! The banner photo was taken during the actual book launch.